Skype is a software application that lets users make free voice calls over the Internet. Calls to other users using Skype are free, whereas calls to landline telephones and mobile phones can be made for a fee using a debit-based user account system. Other popular features include instant messaging, file transfer, and video conferencing. The network is owned called Skype Limited, located in Luxembourg and partially owned by eBay. 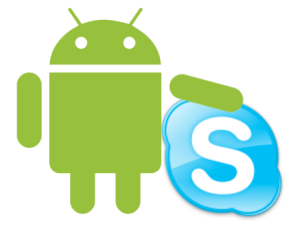 Skype is now being offered on a broad array of Android phones. This will enable you to save cash and keep in contact when you’re busted. The application is easy to acess, all you’ve got to do is go to skype.com/m on your phone and download the software. Skype’s new application, will enable you to make free of charge Skype-to-Skype calls, and send and receive IMs without no charges at all, you have the opyion to make the call to one person or a whole group. Other calls to landline and mobile phones can be made via WiFi or 3G. In order to make overseas calls, all you have to do is dial the number in Skype and pay with Skype Credit or you can subscribe to Skype and make unlimited calls. It is recommended by Skype that users connect to a WiFi zone for best value when you are out of homeland. You can set up an account if you are not already using Skype on a computer, you’ll see your full contact list when you sign in to Skype on your Android phone.